ESPRESSO TWO-PERSON HAMMOCK home decor, jewelry, decor, decorations, electronics, fountains, floor mats, art glass, vases, garden essentials, fireplace screens. 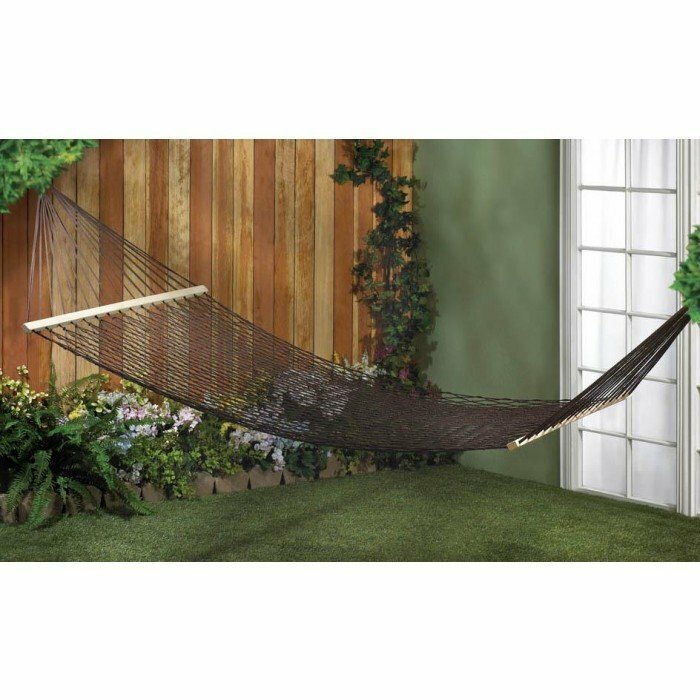 You and your favorite person can both relax in total comfort and style in this generous hammock. The espresso-hued woven rope creates a classic hammock mesh pattern that will cradle you both. Hang it up on your patio, porch, or from a big backyard tree. Max. Wt. : 440 lbs. Material(s): WOOD METAL RECYCLED COTTON. Weight: 4.2 pounds. Dimensions: 54" x 140" x 0".